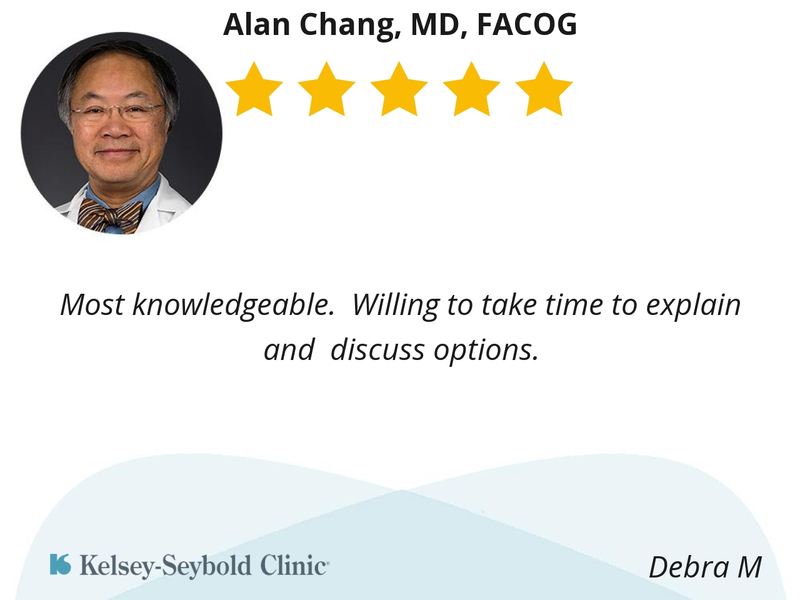 OBGYN specialist Dr. Chang specializes in women's reproductive health, pregnancy and post-pregnancy care, and labor and delivery. Dr Chang is wonderful. He is caring, concerned, and gives great details about everything. I highly recommend him. He’s the best I’ve seen. Because he kind and courteous. He listens to the patient. He makes you feel at ease and takes the time to listen which is hard to find these days. 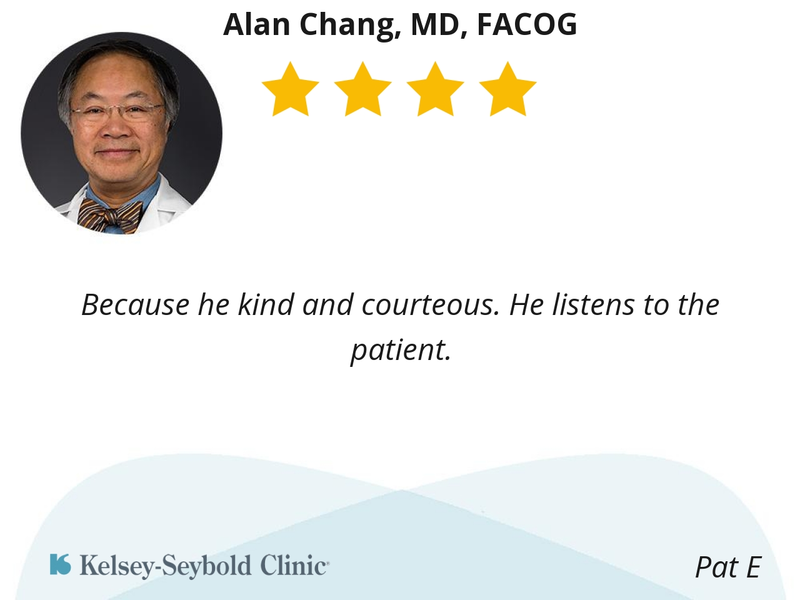 He truly cares about his patients. Dr Chang was very nice. Listened to all of my concerns and educated me on a lot of stuff. 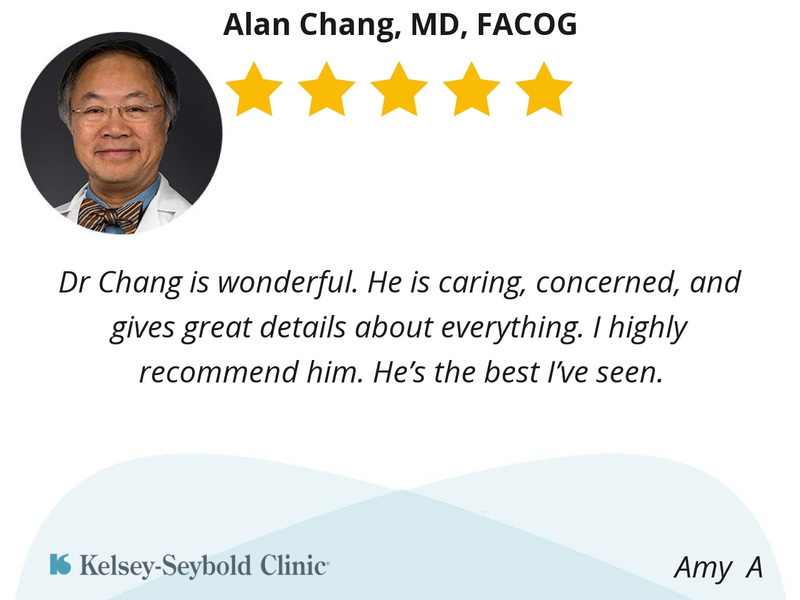 Dr Chang was personable and thorough. I felt he took the needed time for my exam and was open for questions I had. How he help me understand what I needed, gave me options but also explained which is the best route and we’re very sensitive and understanding to my needs. I have been going to him for years and he is ALWAYS kind, humorous and professional! Dr. Chang was great and so were his nurses. Everyone was very friendly and welcoming. Dr. Chang did not rush through my appointment and took time to explain things to me. He joked around and made me feel very comfortable. My only complaint was the wait time. My appointment was at 3:30 and I was not called to an exam room until 4:15. Very nice and very informative. He was very attentive and knowledgeable. Very Polite, Professional and Compassionate. And knowledgeable about my body functions and my problems talks very assertive like he knows what he is doing or will do makes me feel I can trust him to do my surgery and I do. He is very nice, always straight to the point and you can tell that he knows what he is doing based from experience. Doctor Chang is always smiling and comfortable to talk to. He took me in as a new patient when I was already in the third trimester of my pregnancy. Thank you for that. Most knowledgeable. Willing to take time to explain and discuss options. I feel very comfortable with Dr. Chang and everyone I encountered at the OB/GYN clinic. I found Dr. Chang to be most thorough. He took time to address my every concern. Dr Chang has been my Dr for about 10 years, he has always treated with respect. The time I had questions about HRT, Dr Chang took a long time answering my questions, he did not rush through the consult , he made sure all my questions were answered to my satisfaction. I have no trepidation or anxiety during my visits, I feel comfortable with him and the rest of the staff. 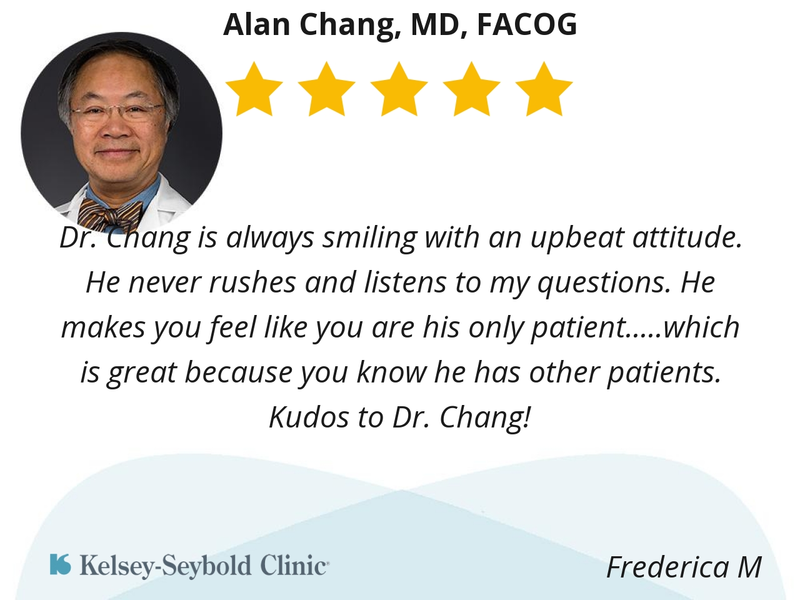 Dr. Chang is always smiling with an upbeat attitude. He never rushes and listens to my questions. He makes you feel like you are his only patient.....which is great because you know he has other patients. Kudos to Dr. Chang!